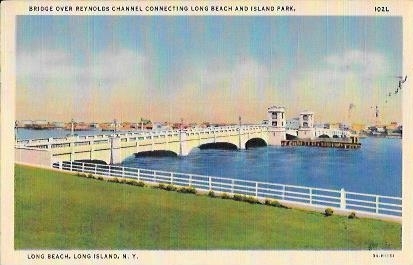 Bridge over Reynolds Channel Connecting Long Beach and Island Park Long Beach, Long Island, N.Y.
Tomlin Art Company, Northport, Long Island, N.Y. Genuine Curteich “C.T. Art-Colortone” Post Card (Reg. U.S. Pat. Off. 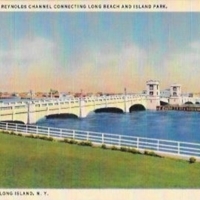 ), “Bridge over Reynolds Channel Connecting Long Beach and Island Park Long Beach, Long Island, N.Y.,” Hofstra University Library Special Collections: Digital Collections, accessed April 21, 2019, https://omeka.hofstra.edu/items/show/2269.